Wanna Ride The Trail With Us? We ride every weekend, it goes with the job. Often we ride here at the ranch or the surrounding area. Sometimes it’s nice to break the monotony and find some place new or revisit a trail we’ve ridden in the past. 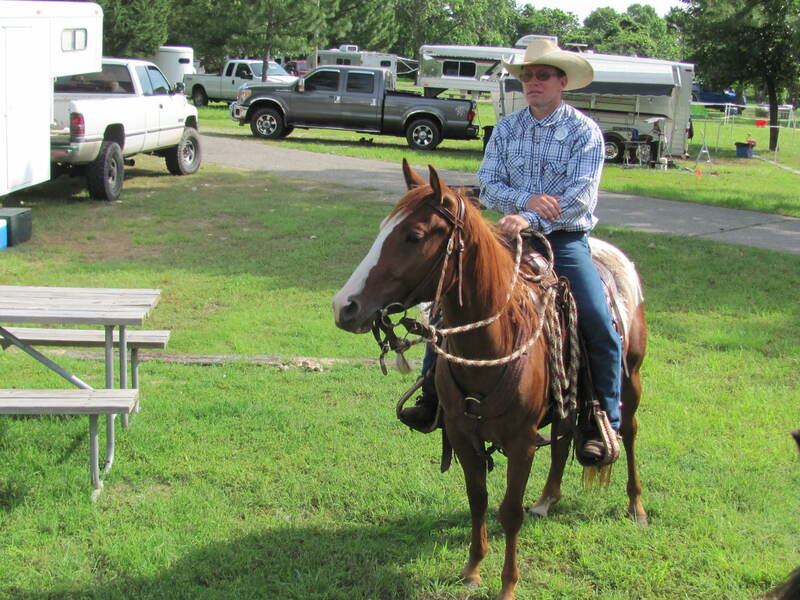 Many of our rides away from the ranch are made at the last-minute. We load the trailer and go. Because these spur of the moment decisions are usually made with little advance notice or warning, folks don’t get invited. The rest of the week all we hear is, “Man, I wish I’d known you were going there. I wanted to go!” We especially hear it when Shawn rides. People like to ride with him because they learn a lot. 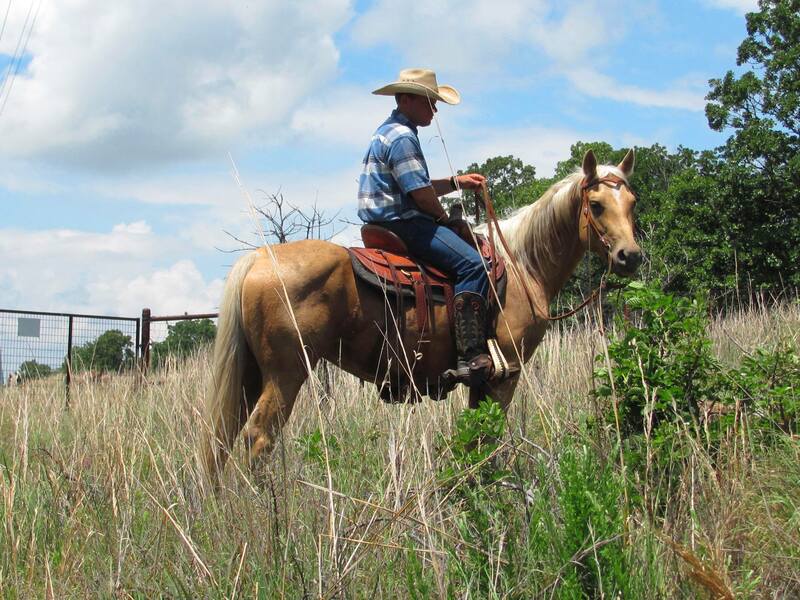 With years of training horses professionally and a lifetime of riding horses, he has the answers. More important, he honestly shares what he knows. But, you have to be ready for complete honesty. If you want to be told you’re a great horseman, then you have to be one. Otherwise, the advice and comments are straight-forward and intended to make you a better rider. Most people appreciate the tips and readily accept the benefits of his experience. In any event, we decided to pick a date to ride and give everyone some notice. If you want to come ride with us, you are welcome. It’s not a trail riding club. There’s no fees or charges. No rule books or releases to sign. We are just going to tell you where we plan to ride and the date. If you ride with us, there’s only one rule. You ride with respect; respect for the horse and the other riders. This ride is not an organized trail ride, but the opportunity for all of us to ride together and enjoy some pretty country from horse back. If you want to come, put September 20, 2014 on your calendar for the Will Rogers Centennial trail at Oologah Lake in Oklahoma. We intend to leave the main trail head at 9am. This time we’re telling everyone well in advance the place, the date, and the time. If you want to ride, we’ll see you there!! According to The Horse Riding Site, horse back riding offers many health benefits. The benefits are more than just physical in nature, but also include emotional and psychological ones as well. Riding horses and especially trail riding lowers blood pressure, relieves stress, and gives you a happier outlook on life. The physical benefits from the calories burned, muscle development, and fresh air provide advantages similar to other forms of exercise. 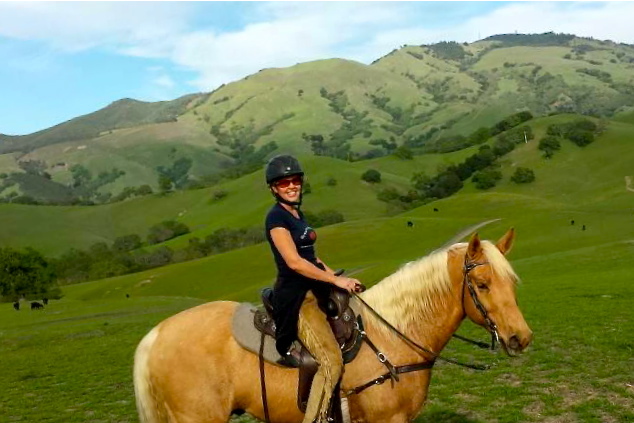 The big difference is many people won’t regularly attend the gym, but trail riding is fun so participation is easy. Weight loss is a natural result and especially since the tendency to eat diminishes when you are active and busy. Undoubtedly, trail riding is good for you! Have you ever noticed how a couple months of doing nothin’ can really mess up a horse’s attitude? 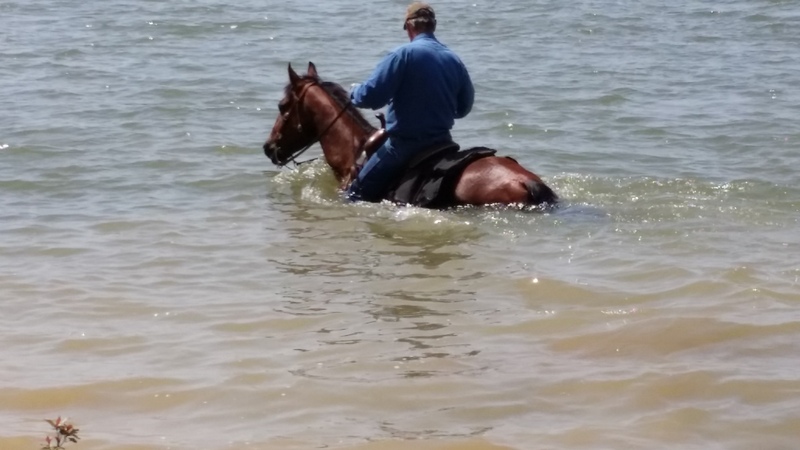 While a well-trained horse should really be able to be left unworked for a quite a while without changing, almost every horse, whether they act like it or not, will be much happier when they have something to do. For example, we have a couple of “retired” trail horses that treated us well for many years until they couldn’t do the job anymore. Now all they do is stand in the paddock, eating and drinking. We felt kinda sorry for them the other day and decided to take them for a trip. Even though they can no longer be ridden, they did just fine being lead. They were thrilled to be “back on the trail” instead of being left at home.